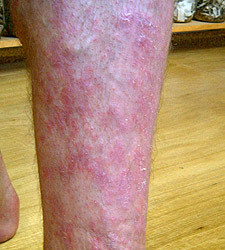 red, flat lesions that can be small or quite large, soft or tough, and covered in scales. 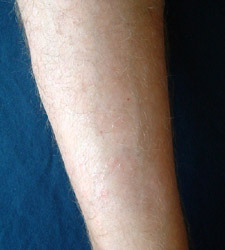 These scales can themselves be so thickly layered that the red plaque is hardly visible, or thin and easily picked off. 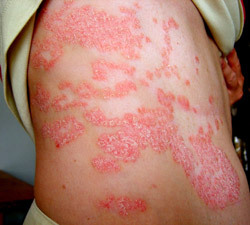 Sufferers of plaque psoriasis know that creams, by themselves, cannot cure this condition, but if we add internal treatment to calm the overactivity that causes it, we have a much better chance for a cure.